We are a pioneer in providing educational and therapeutic services for a variety of students with special needs. 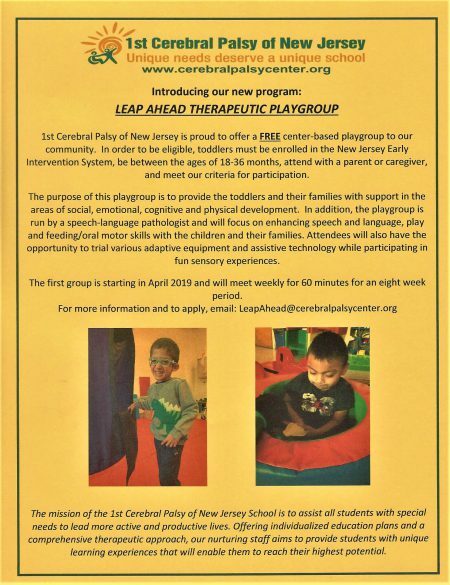 1st Cerebral Palsy of New Jersey, located in Belleville, is a highly-acclaimed, approved non-profit private school for students with multiple disabilities ages 3-21. We have been recognized as a School of Excellence by the National Association of Special Education Teachers. The mission of the 1st Cerebral Palsy of New Jersey School is to assist all students with special needs to lead more active and productive lives. Offering individualized education plans and a comprehensive therapeutic approach, our nurturing staff aims to provide students with unique learning experiences that will enable them to reach their highest potential. 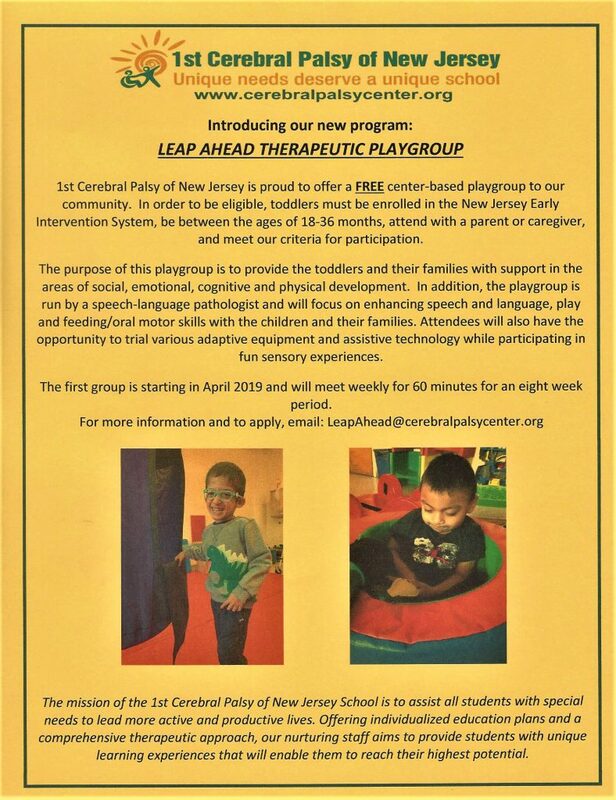 1st Cerebral Palsy of New Jersey offers a variety of extracurricular activities, clubs and sports, including Boy Scouts, performing arts, Special Olympics and more. We also offer an extended 6-week school year (ESY) program that continues our educational and therapeutic programs during the summer. Find out more. Schedule a tour of our center by clicking here.